Search for Pajek Family and 4600 miles trip to Poland. Part 8. Last meeting with family. This was our last day in Krakow. We started out being picked up by Zbigniew and taken to his daughter’s rhythmic gymnastics International competition. 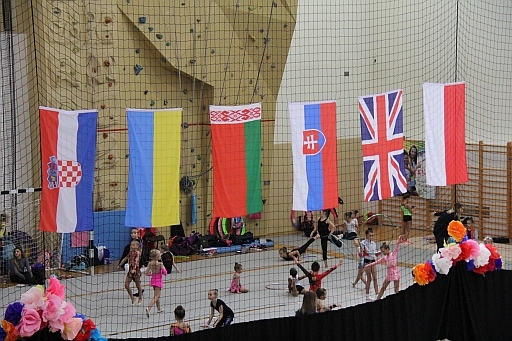 There were girls there from Ukraine, United Kindgom, Poland and other countries. It was fun watching the girls perform. 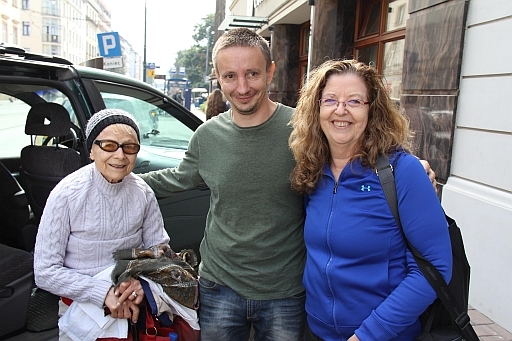 After Zbigniew’s daughter was done he drove us back down to Market Square in Krakow. There was some shopping to be done. Search for Pajek Family and 4600 miles trip to Poland. Part 7. Nowa Huta – Orwellian settlement. It was a bit sad because there is more family to see and more ancestry to trace. Zbigniew will be coming back to the area after he drives us back to Krakow so that he can get the records for Julien’s mother. Hopefully the priest will have found the records we were looking to find. We were off to have breakfast across the street and then on to Krakow. Arrived back at the hotel and now we wait for Ewa to come for our last tour. We walked from the hotel Schindler’s factory. Ewa gave us the tour. It was very interesting. We will have to watch Schindler’s List now. Search for Pajek Family and 4600 miles trip to Poland. Part 6. Continuation of the family discovering adventure in Sucha. Today we met for breakfast at the inn and then the 4 of us headed back to Sucha. We were to meet at Halina’s house at 9 am. We headed to Parish of the Visitation of the Blessed Virgin Mary. The woman in the office had the book out and marked for Julien’s record. The woman was kind enough to gather some other books so that we could search for Julien’s younger siblings. From the books we were able to find the birth records for Julia and Jan. So now we have all the family births’ information. We did not find a marriage record for Julien’s parents but Zbigniew noticed a record for Julien’s father’s brother and so he had us take pictures and then we looked for the brother’s birth record. So from all the information collected we suspect that the Julien’s parents were married at his mother’s parish. Search for Pajek Family and 4600 miles trip to Poland. Part 5. The fun began. We met Zbigniew and headed to Sucha. He had contacted the relatives in Sucha and we were to meet them at 3:30 pm at their house. We were all a bit anxious and excited not knowing what to expect. The drive to Sucha was about 1.5 hours and the countryside was beautiful. We arrived in Sucha and first went to the civil office to try and obtain a copy of the birth record of Julien Pajak. Zbigniew is very knowledgeable about obtaining records and can sweet talk clerks and priests into giving records that they supposedly do not have. The clerk did find the correct book and we were able to find Stanislaus Pajak and Julien Pajak. That left us to find the younger siblings. After obtaining the records we went to Wadowice to see the birthplace of Pope John Paul II. We took the tour of his boyhood residence and Zbigniew was able to translate for us since the tour was in Polish. The museum was amazing. We also visited Christ the King church that was his boyhood parish. Then we were off to lunch and talk about what was to come. 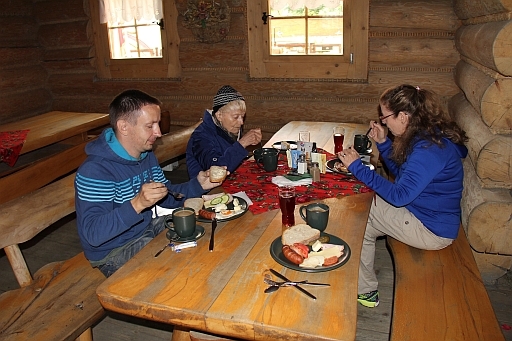 After lunch we headed back to Sucha and started our search for the home of Halina and Edward Wojcik. 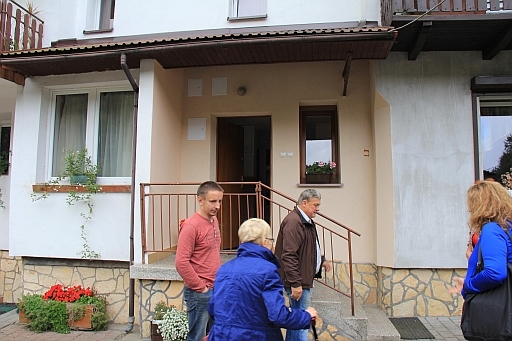 It was not hard to miss the house since Halina and Edward were standing in the street waiting for us. Then the fun began. Search for Pajek Family and 4600 miles trip to Poland. Part 4. 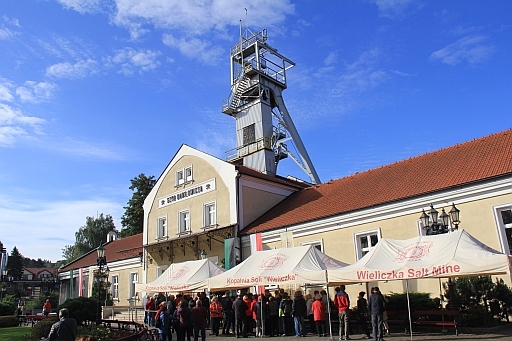 Wieliczka, Jewish history, Polish family and food! Today we met Zbigniew Stettner. He will be our tour guide to drive us to the Wieliczka Salt Mine. He will also be our genealogy guide to Sucha on Wednesday and Thursday. The Salt mines are amazing. To imagine that the workers taught themselves to leave the legacy of statues and cravings is amazing. Then there were the carpenters that built the supports to hold open the caves. The chandeliers made from salt are amazing. The floors that the workers carved look like salt lick blocks and others look like thread spools. Search for Pajek Family and 4600 miles trip to Poland. Part 3. Exploring Kraków. 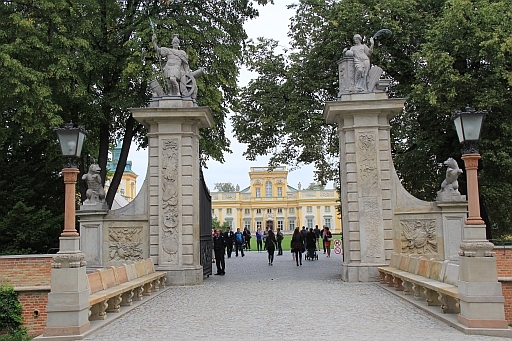 Today was our first guided tour of Krakow. Ewa (Eva) was our guide. Our first stop after walking for a bit was Wawel Castle. Very impressive site with the towers, chapels, grounds and the infamous fire breathing Dragon!! Walt, Ewa and I climbed the bell tower and for good luck as legend goes we placed our hands on Sigmund’s bell. Search for Pajak Family and 4600 miles trip to Poland. Part 2. Traveling to Poland and our first day in Krakow. 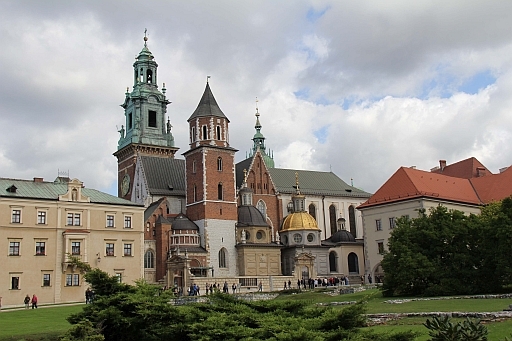 On September 4, 2015 we left the United States and headed for Krakow. 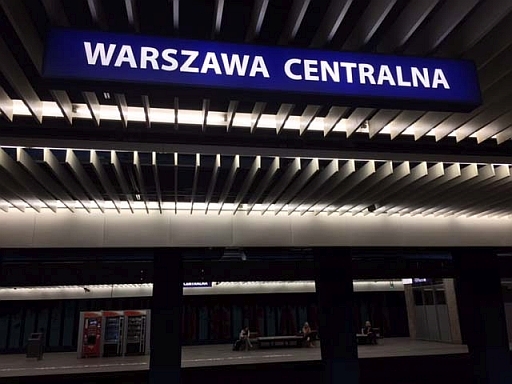 When the three of us arrived by train in Krakow, Zenon was waiting on the platform to greet us. We were very tired and looking forward to getting some sleep. We knew after some sleep our adventure began. Sunday September 5, 2015 we awoke to start our adventure. First we attended an English Mass at Kosciol Sw. Idziego little church, 67 Grodzka Street at the foot of the Wawel Royal Castle. Search for Pajak Family and 4600 miles trip to Poland. Part 1. The planning began. After a trip to Paris two years ago I started looking into the Pajak family. 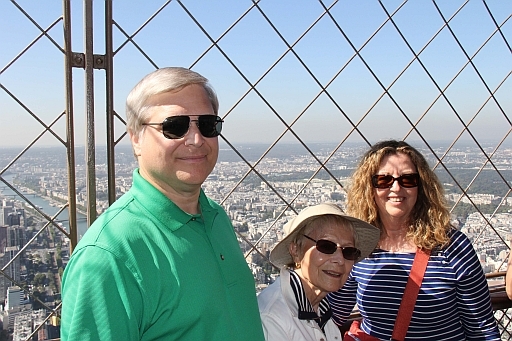 My husband Walt, his mother Julienne and I, visited his mother’s birthplace of Paris, France. 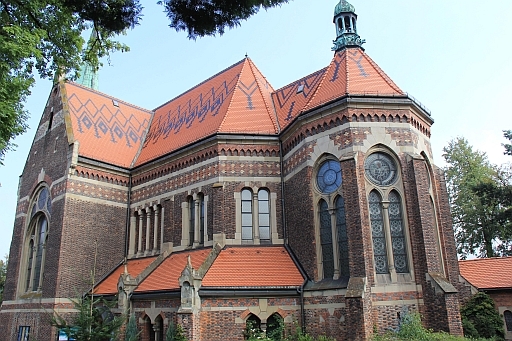 One of the places that his mother wanted to see was the Polish church. We finally arrived at the Polish church and Julienne proceeded to tell us that she was baptized at this church and her parents were married there also. That was the start of family searching.